Prime Minister of India, Narendra Modi, has offered 25 mantras to students in his new book ‘Exam Warriors’. This book is aimed at relieving the students of the stress and pressure that comes hand in hand with examinations. PM Narendra Modi urged the students to treat the examinations as festivals and celebrate them instead of stressing about them. “This book is for all students who are appearing for examinations. They are the ‘Exam warriors’ – brave youngsters taking part in the festival of exams. 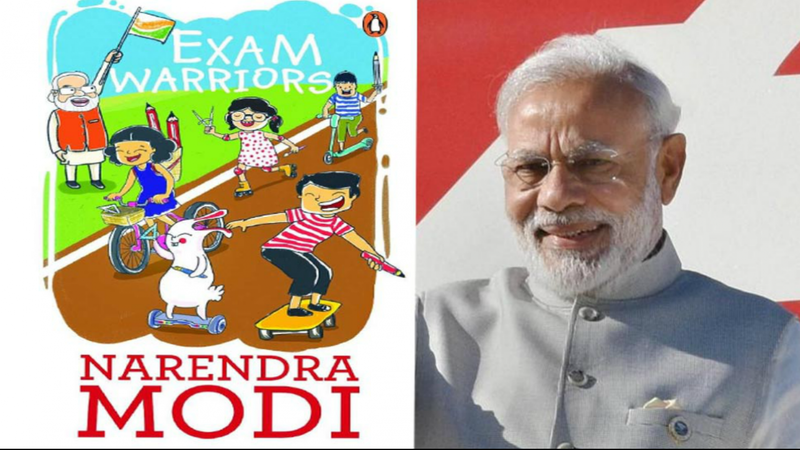 The book drives home the important point that when it comes to examinations, there is no need to worry excessively or view it as a life-and-death situation,” PM Modi is quoted in the book titled Exam Warriors. Published by Penguin Random House, the Prime Minister’s book advises students to stay calm and focused during the examination period. The mantras highlight the need to treat exams like festivals, the importance of technology and the quality of sleep required to beat the stress. The 193-page book is written in a fun, interactive manner with colourful illustration, activities, yoga exercises and also contains a letter from the prime minister to the teachers and parents. Each chapter has an activity at the end. For example – a chapter called “Discover Yourself” that aims to encourage students to experience all that life has to offer to choose a career path, has an activity that urges them to describe their experiences and suggest volunteering organisations. ‘Exam warriors’ is also available in a digital format through the Narendra Modi Mobile App. There is also an exam warrior community page that will enable students to share his achievements with friends, family and students. 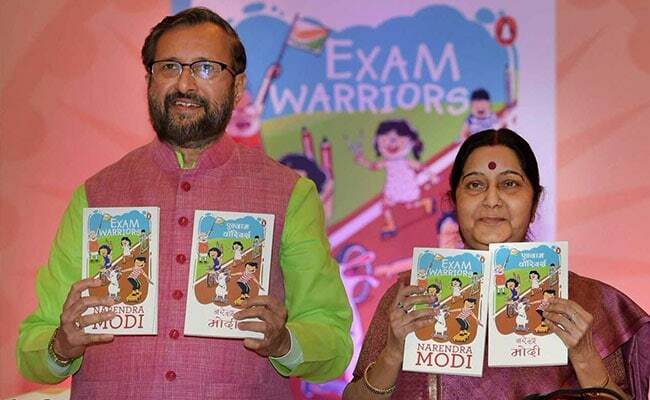 The book launch by Union Ministers Sushma Swaraj and Prakash Javadekar also has lighter moments. While reading out excerpts from the book, Ms Swaraj on more than one occasion ended up reading the word “examination” as “election”. Not just the audience, but the External Affairs Minister herself shook her head in disbelief and laughed out saying, “Oh, I meant examination, not election”. She also emphasized that student should not stress and must present their work neatly, “Chill maro, exams are like festivals,” she said.